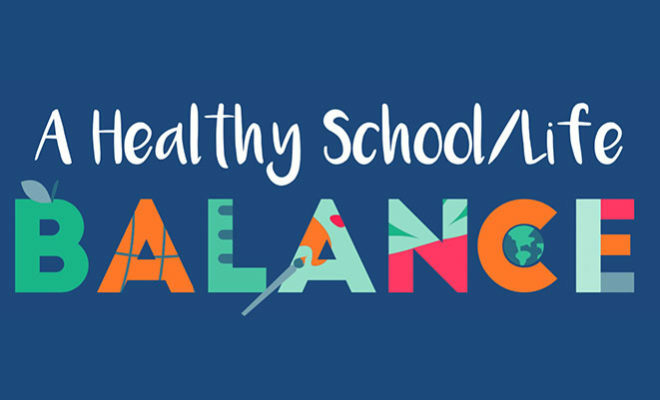 We often talk about a healthy work/life balance in the professional world, but what about a healthy school/life balance? What are the challenges that kids and teens face with respect to balancing school with extracurriculars and even jobs? Eddie Lopez, lead counselor at Lamar Academy, dedicates his time to ensuring that his students work to create a balance with their academics, extracurriculars, and social life and to see the rewards of their efforts. As an International Baccalaureate school, his students have a rigorous course load with demanding classes that require many study hours outside of the classroom. His students “know by default that they will have a lot on their plate, and that in order to maintain enthusiasm and vigor for extracurriculars, that you have to know when to say ‘no’ to yourself,” he said. This means that sometimes they have to put clubs aside until they are prepared to participate in the club without feeling the pressure of their studies. Lopez likes to equip his students with time management tools, utilizing what he refers to as an “old school” method: a simple daily planner. Using a planner is something tangible that his students can use to write down weekly assignments, upcoming projects, and extracurricular participation. “We want them to get balanced and organized through the tangible planner,” he said. When it came to pursuing employment, Eric Gonzalez, a senior at Robert Villa High School, decided to not take a job at Chick-Fil-A. “The reason why I decided not to take the job is because it was before school started, and they offered me the job, but I declined because I thought about how I might not be able to balance my school and work,” he said. “I signed-up for more AP classes, wanted a social life and downtime, and a job would only make things harder.” In retrospect, he’s happy about his decision, even if it means he doesn’t have the extra funds for going to the beach or other activities. Even if students do their best in working to balance their schedules, there is still the chance of stress. So how do you handle it? Take a deep breath: Try taking a minute to slow down and breathe deeply. Manage your time: Plan ahead. Make a reasonable schedule for yourself and include time for stress reduction as a regular part of your schedule. Connect with others: A good way to combat sadness, boredom, and loneliness is to seek out activities involving others. Take it out: Share your feelings. Take a “one-minute” vacation: When you have the opportunity, take a moment to close your eyes and imagine a place where you feel relaxed and comfortable. Lopez says that parents are the first line of defense when they see their kids struggling. He makes himself accessible to both parents and students to help combat the academic pressures, because his goal is to see every student successfully graduate and pursue a professional path.